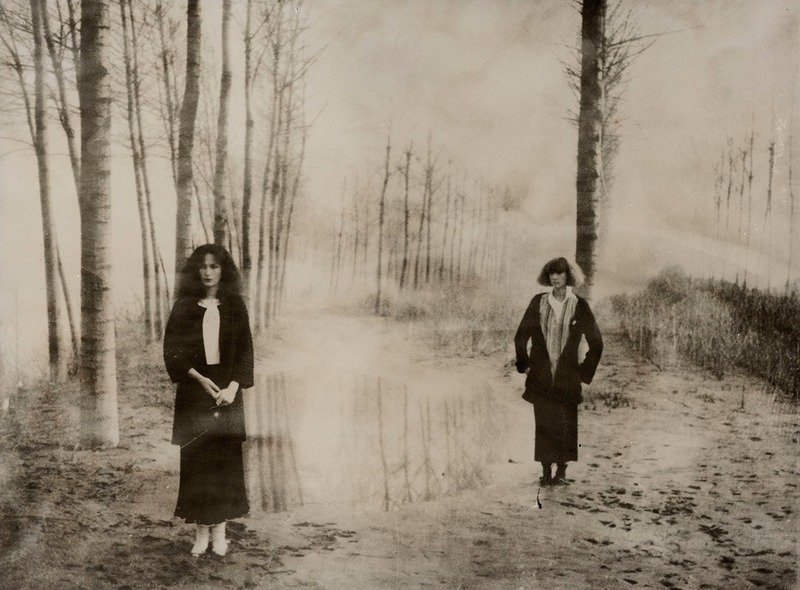 I've written a story before on Deborah Turbeville. There are a few reasons. I’ve written a story before on Deborah Turbeville. There are a few reasons I’m writing another one. One is, I published it at a time I had just started this blog, so I had a very small following. Second, Deborah Turbeville is considered part of the triumvirate that changed fashion photography forever. The other two being Helmut Newton and Guy Bourdin. But people seem to forget how influential and radical they were at the time. And last is that I actually met and conversed with Ms. Turbeville in the late 90’s. I was friends with the frame maker in the building where my studio was on W. 13th St. She was getting custom frames made and I just happen to walk in. She was extremely nice and down to earth. But she was doing more “art” things as opposed to fashion at the time.
. Probably mostly for the wide availability of lenses in the Nikon line. She was born in Massachusetts in 1938 and studied there before moving to NYC in 1956. Her introduction to fashion was as a sometimes model, then as a fashion assistant. In the early 60’s she was promoted and became an editorial assistant, and soon after, a fashion editor. After styling quite a few shoots for Harper’s Bazaar, she was fired for being involved with some ridiculous shenanigans perpetrated by the photographer Bob Richardson. (Yes, Terry’s Dad) Taking a lesser job at Diplomat Magazine, they finally let her start shooting. She walked into a camera store, bought a Pentax camera, and the man behind the counter showed her how to load the film! While she struggled at first, her style started to quickly develop in just a few years. Working exclusively with 35mm cameras, and using mostly high speed films and natural light, the dreamy images in her head finally started coming to fruition. By the early 70’s, she moved to Europe and started working for Vogue and Marie-Claire. She was realizing her goal of, “Every detail is perfect and yet wrong at the same time.” Even mistakes were turned into “masterpieces”. She approached photography in a way that was so unconventional that it made her work stand out like no one previous. Especially the medium format lexicons of fashion. Is that genius or a lucky accident? I don’t know. Yes, she sometimes scratched her negatives purposely to allow a unique quality that could never be duplicated. In 1975 she did her “Bathouse Series”. The accolades, along with public outrage, pretty much sealed her career favorably. But also supplied more than a smidgen of notoriety. For some reason, some people felt she was glamorizing Auschwitz and the Soviet gulags. How people came to that interpretation is beyond me. And was beyond her. It was a “bathouse filled with models”. I saw no “barbed wire” or armed guards, so the thought escaped me. Whether you thought of it as scandalous or not, she soon became the darling of Vogue. A lot of artsy-fartsy words are used to interpret her work. But I just see beautiful images. I’m sure Monet also had some deep meaning to his paintings. But I just like them. I’m honestly too shallow to care otherwise. I think I have all of Deborah Turbeville’s books, including “The Fashion Pictures” (2011), “Wallflower” (1978), “Unseen Versailles” (1981) and “Studio St. Petersburg” (1997). Although she’s had a house in Mexico since the 80’s, I know she lived on the upper Westside of Manhattan until her death at the age of 81. While Sarah Moon is similar in many ways, (impressionistic), her workflow and methodology are polar opposite of DT. In many ways, I don’t think we could have another Deborah Turbeville. See more of her work at the Staley-Wise gallery link below.